Adelaide Mattress Removal & Disposal | 1800-GOT-JUNK? If you've ever tried to move a mattress, you know it's harder than it looks. Mattresses are big, bulky, and tough to control, and that's not to mention how difficult it can be to actually transport your unwanted mattress to an approved mattress disposal site. In fact, the thought of having to deal with removing and disposing of your old, worn-out mattress might be keeping you from upgrading to a nice new one - and it could even be keeping you from getting a good night's rest. Here at 1-800-GOT-JUNK? we make getting rid of your old, worn-out mattress easy with our professional mattress hauling and disposal services. We'll come right to your home, load up your mattress from where it currently sits, and take it away to be recycled or disposed of responsibly. When you contact us by phone or book an appointment online, we'll work with you to find a time that fits your busy schedule. We even offer after-hours bookings, so you won't need to take time away from your day to have your mattress removed. On the day of your booking, we'll arrive on time in our well-marked 1-800-GOT-JUNK? truck. Our team of two friendly, uniformed junk removal experts will ask you to point out the mattresses and any other junk you want us to take. We'll then give you a clear, all-in quote for our services that covers everything - our time, labour, and any disposal fees. Once you give us the green light, we'll work quickly and efficiently to haul your mattress out to our truck, load everything up, and leave you to enjoy the rest of your day - it's that simple. 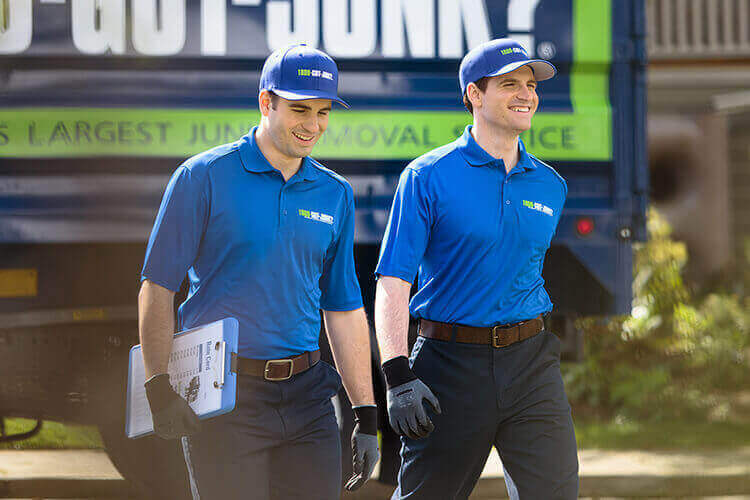 Since 1989 we've been providing trusted junk removal, and from day one we've been dedicated to delivering junk removal services that benefit both our customers and the environment. When you hire us, you can rest assured that we'll do our very best to divert all the recyclable materials we collect away from our landfills. In the case of old mattresses, most of the material can be reclaimed, including the metal springs, wooden frame, foam padding, and cotton covering. This reclaimed material is then used to replace the use of raw, virgin materials in manufacturing, which in turn cuts the demand for non-renewable resources. And if you have a nearly-new mattress you'd like removed, we'll contact our charitable partners to locate a new home for your gently-used bed. At 1-800-GOT-JUNK? we recycled before it was cool. Bed bugs are on the rise both here in Australia and abroad. These tiny little pests love to travel in luggage, in airline cabins, on public transit buses, and even inside books and clothes. If your home has been impacted by bed bugs, we can help. We'll take away any bedding and mattresses that are infested by bed bugs, however, we ask that you follow specific protocols designed to prevent the spread of these insects to other 1-800-GOT-JUNK? customers. Before you book your Adelaide mattress removal appointment, let us know that you're dealing with bed bugs. We'll give you clear instructions to have you mattress sprayed down by a pest control contractor and double-wrapped and sealed inside a heavy plastic mattress bag. This will keep the infestation contained while we remove your mattress. When it's time to get rid of your old, saggy mattress, give us a call here at 1-800-GOT-JUNK? or go online to schedule your Adelaide mattress removal appointment. We're happy to help you enjoy instant relief from your unwanted mattress, box spring, and other junk.